Detail from Mary Lee Bendolph’s “Blocks, Strips, Strings, and Half Squares Quilt” (2005), part of the new acquisition. The Philadelphia Museum of Art has acquired a significant group of works by self-taught African American artists, deepening the museum's already rich holdings of so-called outsider artists and strengthening its overall collection of art by American people of color. The 24 works include three major assemblages by Thornton Dial, an iron and steel worker, pipe fitter, carpenter, and house painter who lived in Bessemer, Ala., near Birmingham. The museum also acquired a number of works from Dial’s friends and relatives, and 15 quilts made by several generations of women from Gee’s Bend, a rural Alabama community near Selma. 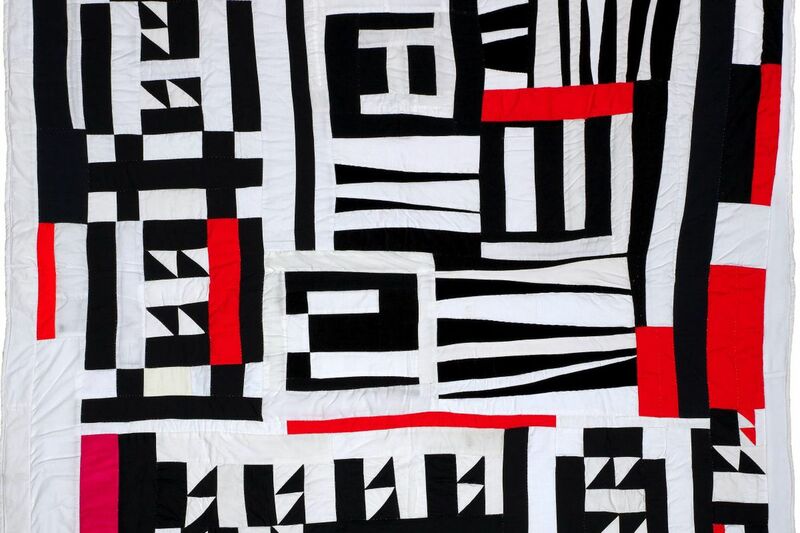 The quilts and assemblages were part of the 1,200-work collection of the Atlanta-based Souls Grown Deep Foundation, an organization devoted to documenting, preserving, and promoting the work of self-taught African American artists from the Deep South. "I think it's a spectacular addition to the collection and another piece to add to our growing holdings of work by self-taught artists," Timothy Rub, head of the museum, said Wednesday. Photo: Ron Lee/The Silver Factory. “No Light on the Crosses” (1994). Lonnie Holley, American, born 1950. Wood, metal fencing, headlight, ceramic lamp, electrical cords, ice cream scooper, metal drain cover, wire, drill bit, rope, and drum head. (© Lonnie Holley/Artists Rights Society [ARS], New York. Philadelphia Museum of Art, museum purchase, and gift of the Souls Grown Deep Foundation from the William S. Arnett Collection, 2017. Maxwell L. Anderson, president of the Souls Grown Deep Foundation, said the acquisition fit with the organization's overall strategy for gaining wider appreciation for the work of the artists. He noted that now "important works by African American artists who represent a distinctive voice in contemporary art are represented in [the Art Museum's] permanent collection." "Partnering with the PMA and a growing number of other museums will ensure that the work and history of these artists is accessible to a broad audience," said Anderson. Ann Percy, the museum's curator of drawings, said the museum considered the works to be representative of a "huge part of American art." "But we didn't have any," she said, referring to pieces by self-taught or outsider African American artists from the Deep South. "We think it's an important aspect of American art that we didn't have represented in the collection." Thornton Dial, who died two years ago, was first inspired as a teenager by the "yard art" displayed on lawns throughout the area. He began constructing sculptural assemblages out of whatever he could find, strongly motivated to express his ideas and feelings about history, slavery, racism, politics, war, spiritual matters, economic dislocation, and homelessness. Dial's assemblages, and the two assemblages each by Lonnie Holley and Ronald Lockett, plus one piece by Hawkins Bolden and another by sculptor Bessie Harvey, provide ample evidence of the "profound subjects" at the heart of the work by these artists. Stephen Pitkin/Pitkin Studio/Art Resource (AR), New York. Housetop Quilt: Fractured Medallion Variation, c. 1955. Delia Bennett, American, 1892 1976. Cotton, 79 inches × 79 inches. (© Estate of Delia Bennett/Artists Rights Society [ARS], New York. Philadelphia Museum of Art, museum purchase, and gift of the Souls Grown Deep Foundation from the William S. Arnett Collection, 2017). Work by Mary Lee Bendolph and her daughter Louisiana P. Bendolph is contained within the acquisition. Quilt makers now represented in the collection are Delia Bennett, Nellie May Abrams, Annie E. Pettway, Henrietta Pettway, Loretta Pettway, Martha Jane Pettway, Sue Willie Seltzer, Andrea P. Williams, Irene Williams, Magdalene Wilson (1898-2001), and Nettie Young. The 15 quilts were made between 1930 and 2005. Rub said the works will be on display in the near future.